This week my inspirations come from bold shapes and bright shades! I love strong geometric patterns and bright colors of every kind so these pins have me weak in the knees. Be still my heart! There are so many ways to incorporate these basic ideas into your everyday life, here are some of my favorite ways to sport funky shapes and sunny shades! 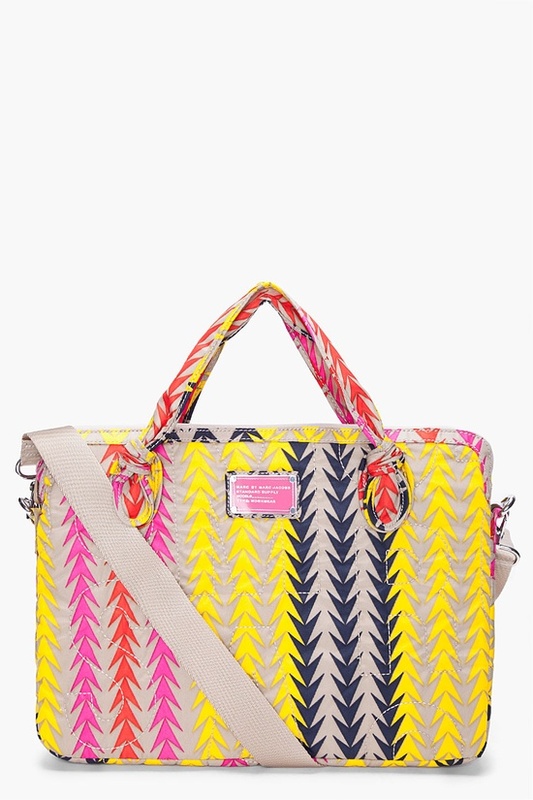 STYLE// This Marc by Marc Jacobs bag has the perfect punch of pattern and color. This bag would be so fun dressed up or down! 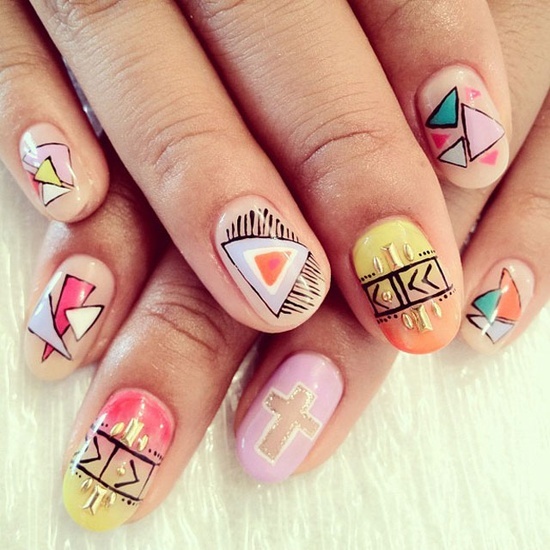 BEAUTY// I love the amazing colors and geometric shapes of this nail art. Definitely fun for a night on the town manicure. 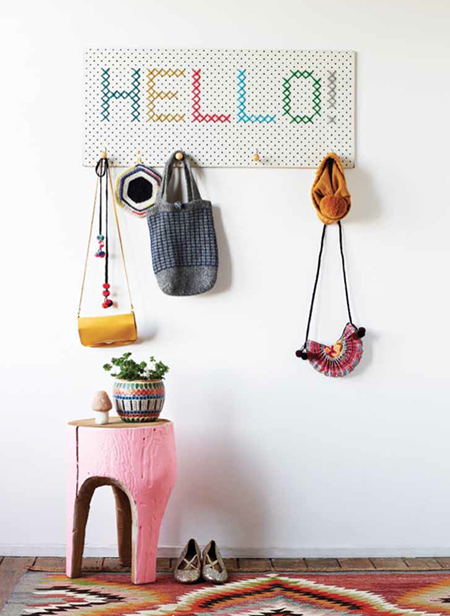 DECOR// The mixture of different bold patterns and tiny pops of color make this eclectic space cheery and fun. 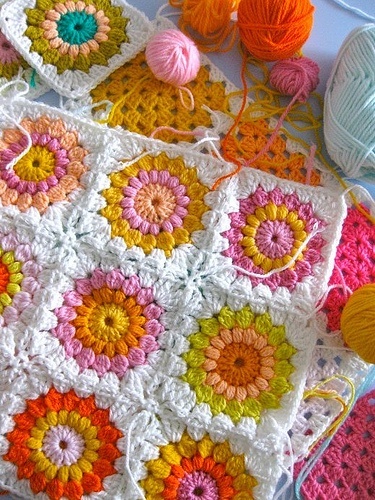 CROCHET// I am in love with this granny square pattern, the colors chosen here are gorgeous. I'm working on two pillow cases using this pattern and they are just lovely so far. 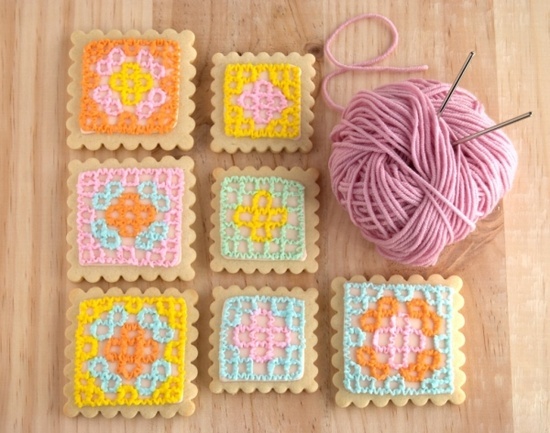 SWEETS// These granny square sugar cookies are sure to be a hit for any crochet lovers birthday or an all ladies craft day. I need to take a whack at these! How adorable?! 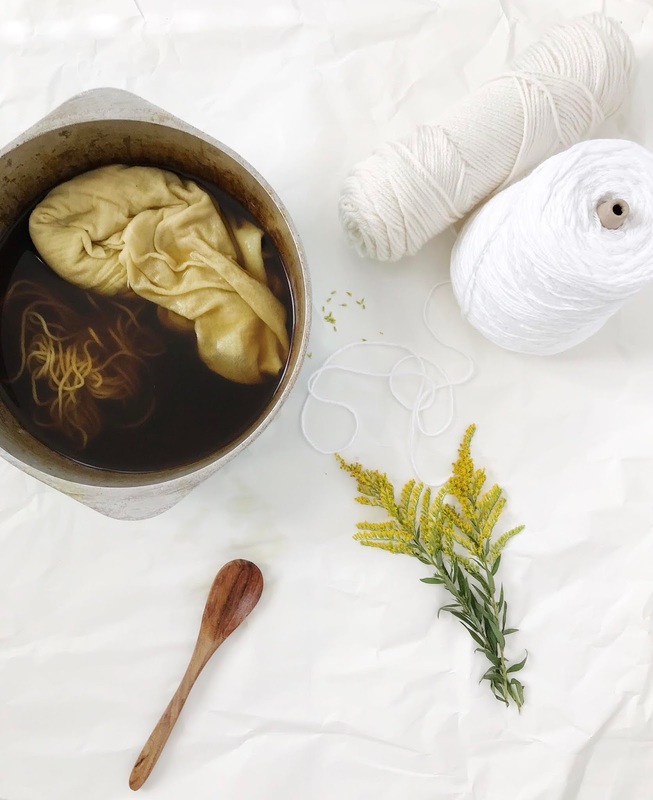 DIY// This is the perfect way to update and up-cycle your old and boring sweat shirts. The pattern possibilities and color choices are endless! What is inspiring you this week? Do you like bright colors and bold patterns? 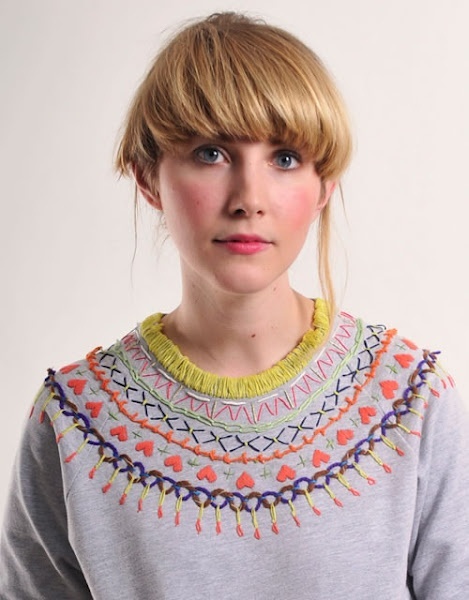 I LOVE LOVE LOVE the sweatshirt!! !